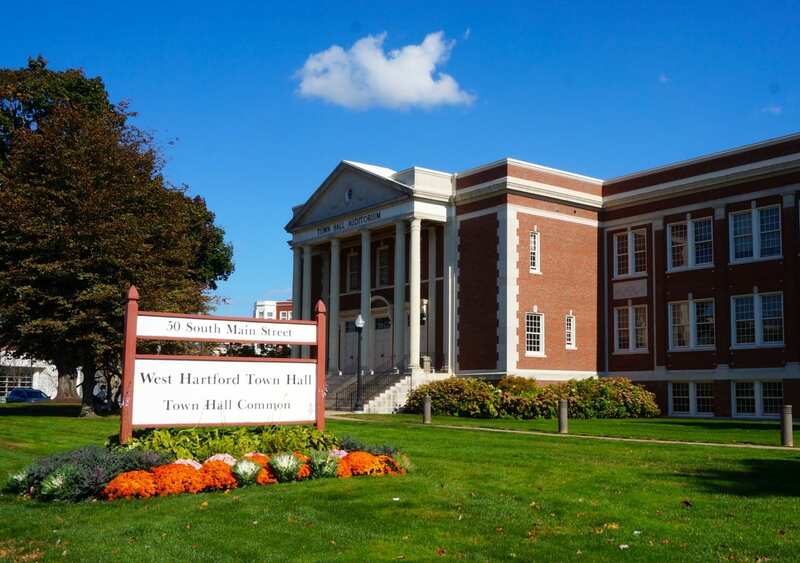 [Updated, 7:10 p.m.] West Hartford Mayor Shari Cantor and Town Manager Ron Van Winkle are in disbelief about the impact on West Hartford of the budget presented to the legislature Wednesday by Gov. Dannel P. Malloy. 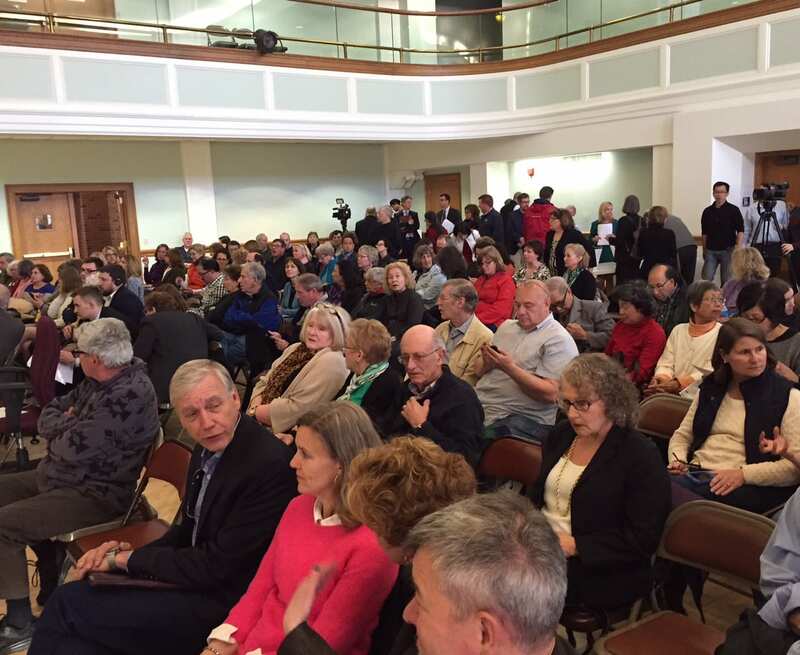 Neither West Hartford Mayor Shari Cantor nor West Hartford Town Manager Ron Van Winkle attempted to conceal their fury when speaking about the impact on the town of the $18 billion budget presented by Connecticut Gov. Dannel P. Malloy to the state legislature on Wednesday. “It’s horrible. It’s hard to fathom,” said Cantor. According to Van Winkle, the actual impact of cuts in state aid to West Hartford is nearly $15 million for FY2018, which begins on July 1, 2017. Statewide spending reductions total approximately $1.3 billion. Cantor said that Superintendent Tom Moore told her that a $1 million cut equates to 16 teachers. Van Winkle said that the nearly $15 million decrease in aid – much of which comes from a retooling of the formula for Educational Cost Sharing (ECS) grants – is just part of the budget challenge. Adding in the $2.3 extra needed by the MDC, and other expected cost increases and revenue decreases, and the town is looking at a potential $25 million shortfall. “This is crazy. 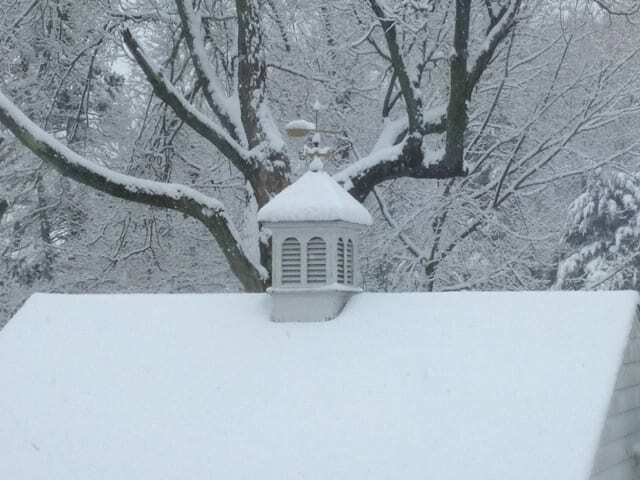 We have never seen an impact like this in history,” Van Winkle said. State Sen. Beth Bye (D-5th), a West Hartford resident who previously chaired the legislature’s Appropriations Committee, echoed Van Winkle’s and Cantor’s harsh criticism of the governor’s proposal. 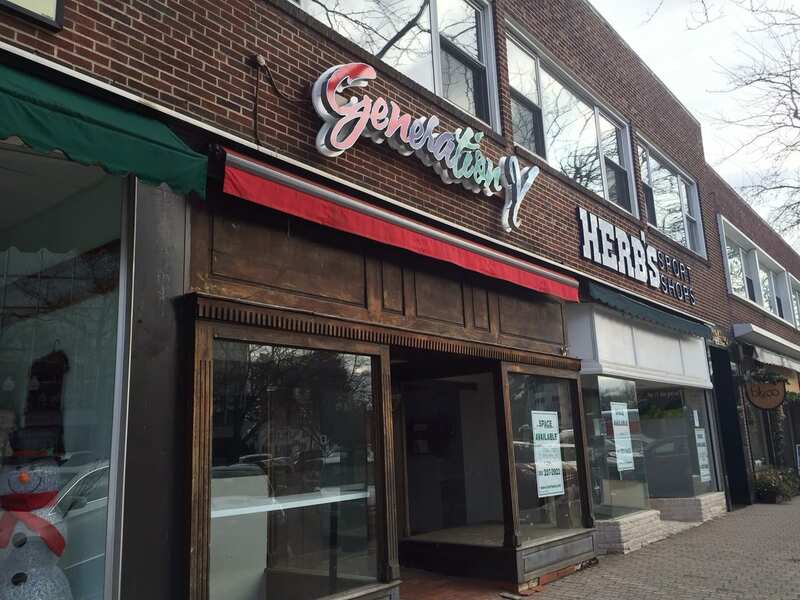 “The governor’s proposal targets West Hartford in a way that is unfathomable,” Bye said. Cantor said that there is no way that West Hartford should be expected to face an aid cut of this magnitude without some other source of revenue. Property taxes can’t be increased enough to help the town stay safe and educate our children, she said. “We’re already 130th out of 169 in school spending. This is … I don’t know what this is,” she said. Both Van Winkle and Cantor said that West Hartford has already made all of the changes it can to streamline administrative costs, combining town and education functions whenever possible. Collective bargaining agreements have resulted in more favorable pension plans and employees are now on High Deductible Health Plans to cut the town’s employment-related costs. 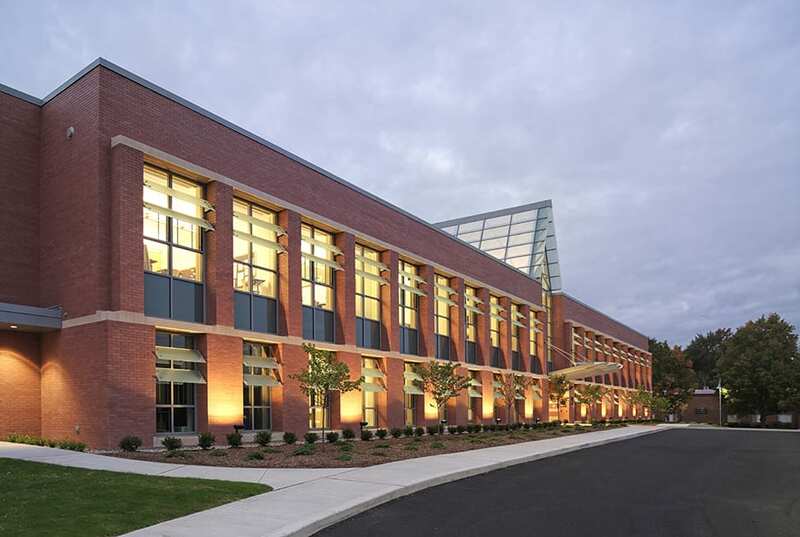 “West Hartford is a successful rim suburb and has faced decades of underfunding from the state. These actions today show a total disregard for the hard work of our community, to find efficiencies and develop top-notch schools – despite severe underfunding from the state,” said Bye. Van Winkle and Cantor said they are continuing to crunch the data, but noted that that other towns are receiving twice or nearly three times the ECS funding per pupil in comparison to West Hartford. While West Hartford would get $1,225 per pupil under the governor’s proposed budget, Wethersfield would get $2,602, Stratford would get $2,641, Newington would get $2,398, Southington would get $2,667, and Danbury would get $3,090. Hartford stands to receive significant support through the governor’s proposed FY2018 budget. The city’s ECS money exceeds West Hartford’s entire general fund budget, Cantor said. “It makes no sense except that we already have a great school system and we’re being penalized,” Van Winkle said. “We are a community that serves children in poverty and children with special needs,” said Bye. “We have over 70 languages in our schools and 2,000 of our students are living in poverty. And still we are proud to consistently have two of the top high schools in Connecticut,” said Bye. West Hartford has proven that students at all income levels can and do thrive in a “high quality integrated school district,” and the proposed cuts threaten that success, Bye said. “Poverty has grown five times faster in the suburbs over the last decade and our school funding formula must recognize that reality,” said Bye. Cantor said she has already spoken to the town’s legislative delegation, and they say this isn’t going to stand, but there is not likely to be any legislative approval of the budget before West Hartford votes on its own budget. West Hartford already has a mill rate that is in the top 30 in the state. The town has a strong Grand List, but nothing like that of the gold coast towns, Cantor said. State Rep. Derek Slap (D-19th), who was elected to his first term in November, equated the level of proposed state aid cut to the equivalent of eliminating the entire West Hartford Police Department. “The budget proposal simply doesn’t work for families in West Hartford,” he said. Van Winkle is scheduled to present his budget to the Town Council on March 8. The Town Council has a budget vote scheduled for April 25. Cantor said she and Van Winkle will regroup on Thursday and begin to figure out what to do, how to educate the public, what the options are. They will also go over the numbers again and again. But right now she is just trying to understand how the state could do something like this to West Hartford. “You just can’t gut a community – in 30 days – that has been so successful,” said Cantor. Bye said that Malloy is out of touch with challenges that middle class residents in the state face with municipalities’ property tax-based budgets. “This budget passes the state’s budget problems onto the middle class homeowners in Connecticut. It is the wrong direction for Connecticut and for our communities,” said Bye. Who did Cantor vote for the last two gubernatorial elections? What about for the state legislature? Bottom line, the one party rule in Hartford has ruined our state. Now, they are trying to ruin our towns. Wake up Madam Mayor and vote with your strong statements here, even if it means voting against your party!! A well managed community is penalized to pay for the long term fiscal irresponsibility of others, especially the state. And they have talked about employee and benefit changes but done little. New York years ago was aided with the Municipal Assistance Corporation, a financial oversight board to do the financial management elected officials were unable to confront. Time to vote for a Republican governor. we need to ACT!!! To vote all these corrupted politicians out of their offices and return the power to people who truly love this beautiful state and make it great again!!! Veto his budget with our voice!! Veto this crazy “one party” system in our state! What the [email protected] have Beth Bye, Andrew Fleischman and Joe Verengia been doing in Hartford all these years??? Did they think a $1.4 BILLION deficit (which they are all fully complicit in creating) would just go away?? They’re all a bunch of knee-jerk liberal party-line voters in the House & State Senate….as are a majority of WeHa voters…who lack the forethought to see the financial ramifications of their political decisions. What did you think would happen?? At least we have a great busway linking New Britain to Hartford, as I right?? Can’t say I’m surprised at anything Malloy does. Of course, if Cantor hadn’t supported him out of party loyalty and if Bye didn’t jump at every tax hike he proposed, without regard for her constituents, this might not be happening. I’m neither a democrat nor a republican but I’m getting tired of Malloy, Bye, Cantor and the rest who seem to think they have a right to all of our money. I’m outta this town and state as soon as I possibly can! If Beth Bye, Andrew Fleischmann and Joe Verengia had any respect for the residents of West Hartford (a bit of self respect for that matter) rather than being purely partisan officials who voted for any tax hike or spending opportunity they were told to, they would resign their positions tomorrow and allow grown-ups to take over. 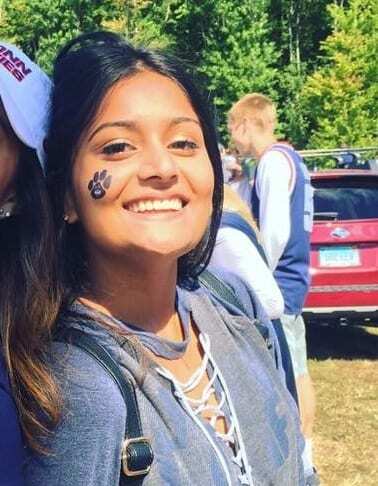 Thank you for helping to destroy not only the exceptional education system of our beloved town, but the economy for the entire state of Connecticut. Your blind loyalty to your political party (rather than to the constituents you supposedly represent) should be commended, because how else would the tax payers of CT know either the privilege and honor to owe $1.4 BILLION for all of your ill conceived spending plans. That boondoggle idea to built a bus line between New Britain and Hartford (which virtually no one uses)…genius! You my friends, are exactly the people Connecticut needs to waste our hard earned dollars. I cannot wait to get those expensive postcards you will send to every voter in WH at taxpayer expense, which will brag about what you failed to accomplish while serving in the State Legislature. Keep-up the good work, because I think you’re at the brink of finally pushing Aetna out of the state, along with GE. A Sarcastic (but extremely upset) WH Voter!! Not sure Bye (plays Twitter drinking game during gun hearing) or Verrengia (jumps from party to party in order to win) have ANY loyalty. They are very ineffective, weak individuals, and certainly not leaders. Not fair to chastise Cantor YET. Let’s see how she handles this mess. Will she stand up for the residents of our town, or will she kowtow to bronin and malloy? Either way, we know that we can no longer depend on these failed “leaders” for ANYTHING. There has got to be TREMENDOUS push back from town residents, immediately. The problem is the citizens who continually re-elect these politicians year after year after year no matter what party they represent. The fault is the people’s. Have to agree. Cantor said just a week ago that West Hartford would be the best place in the state to work, live and play. Lip service. Slifka knew it was coming. He ran for the hills . Winkle knew it was coming, he is half checked out. Higher assessments on home values with maybe a 42 to 45 mill rate? I think not. One can see how the democrats are losing everywhere around America People just getting tired of empty promises. Increase the density! No wait. We need more in depth , intelligent conversation about this. Ha. We need tax revenue. Enjoy the storm. I am a West hartford resident who fully support this measure. Realizing that together we stand or fall as a state. These are tough choices, but they have to be made. Malloy is the grownup in the room with the courage to make these changes! No surprise at all here folks. You voted for a tax-and-spend Democrat twice, now you get what you asked. The money has to come from somewhere, and that somewhere is YOUR POCKET. Cantor is the mayor? I thought interim mayor . She is very Rah Rah West Hartford. Needs a pair of Pom Poms Now the job is getting real. Let’s see what she can do to help change the tide. Not in our favor now. This issue entirely boils down to State Employee / Teacher pension and healthcare benefits. These plans are less then 40% funded. They can shift costs to towns, raise taxes, etc. but until the pension issue is addressed, we will be dealing with this every budget cycle. State employees don’t want to hear the reality that their benefits are out of touch with what everyone else gets. The state simply can’t afford those benefits. CT taxpayers including towns will continue to suffer until that issue is addressed. Why wasnt my previous comment approved? It wasn’t controversial or rude? Oops, said it’s still waiting moderation, sorry! It’s quite telling Van Winkle and Shari are taken by such surprise…. it’s like not seeing a giant wall of black ominous thunderclouds miles off. I hope this is a wake up call to the town of WH. I feel we need a different skill set for the upcoming new town manager when the current one retires soon; and also for mayor, the current mayor having been selected to fill the resignation of the former mayor, and not elected. No problem! Just build another busway to nowhere. Or another stadium. Or keep giving sweetheart ‘payback’ benefits to the state employee unions. Or ignore the pension funding problem altogether. Or just push all the budgetary problems off onto the ‘wealthy’ towns. Time to get rid of all the Marxists in Hartford, beginning with Malloy and his rubber-stamp Democrat enablers in the statehouse, like Beth Bye. Well, CT (including deep blue WH), you’ve voted for one-party rule for years now. Reap what you’ve sown.